SportMaster Sport Surfaces are stocked and supported throughout the state of California at multiple SealMaster locations. Our 100% acrylic, water-based formulations meet and exceed all of the California VOC (Volatile Organic Compounds) requirements and offer ultimate performance in the California environment. 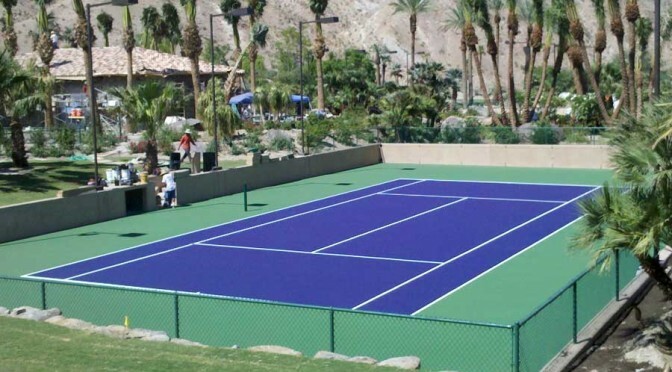 As the coating manufacturer, SportMaster can put you in touch with experienced backyard tennis court builders and resurfacing contractors in California. When it comes to installing and maintaining a backyard tennis court, you want to make sure that it is done by a qualified and experienced tennis court builder that understands all of the details involved in properly building your fun investment. Don’t trust a painter that paints walls or a concrete company that pours driveways. Fill out the contact form on this page and we will provide you with tennis court contractors that follow the ASBA (American Sports Builders Association) standards and build, slope, and surface your court right! 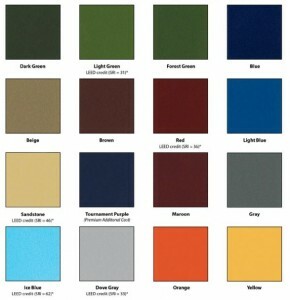 The SportMaster ColorPlus system makes it easy to get any of the 16 standard tennis court colors quickly. Our California-based stores carry a large stock of SportMaster products and tennis court colors from popular combinations like blue and green, to traditional red, green, beige, and more.